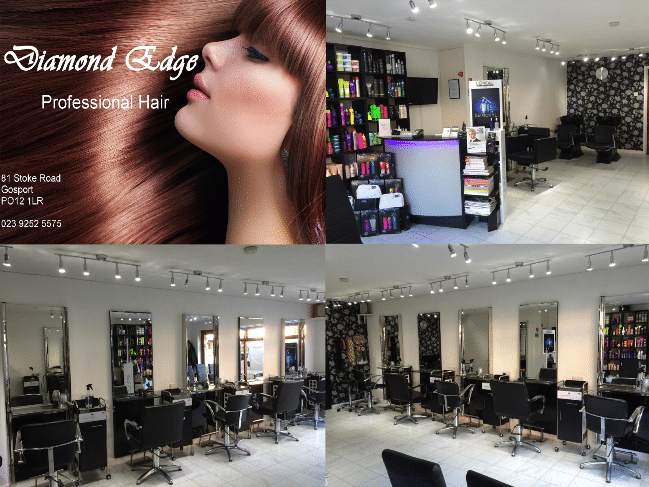 Welcome to Diamond Edge Professional Hair, top class professional local hairdressing unisex hair salon in Gosport, Stoke Road. The services in the salon are unique to anywhere else in Gosport. The staff at Diamond Edge are professional and friendly with a laid back atmosphere so you feel as comfortable as possible. All the chairs are fitted with memory foam for absolute comfort, and our staff are ready to greet you with a smile. 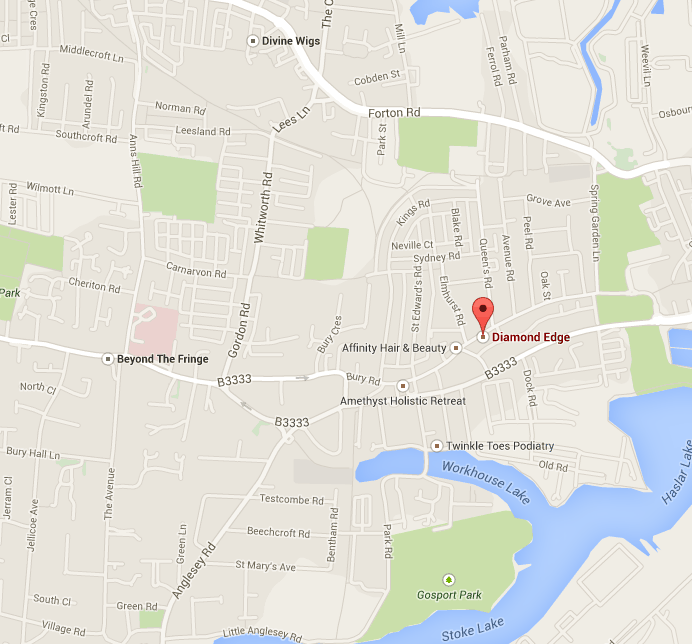 The salon is based at 81 Stoke Road near in our local town of Gosport. If you follow the road to the side of the building in which the Diamond Edge is based, you will find a 3 hour FREE parking lot on your right hand side! Also if you fill your name and email address below you will be the first to be informed when we have our special offers on, so don’t miss out! Click the Facebook app and like our page. Click the twitter app and follow us on twitter. Click the Linkedin app and follow us on Linkedin. Click the Google app and follow us on Google plus. Click the You Tube app and subscribe to our channel. Click the Instagram app and subscribe to our channel.